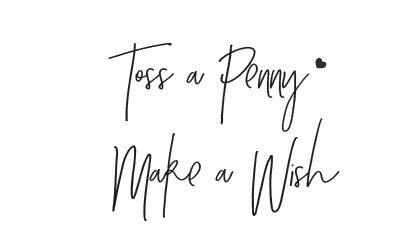 The Wishing Elephant has an adorable selection of onsies to choose from & the best part ... the designs are made from Eco Felt (100% post consumer recycled plastic bottles)!! So all the cute & colorful embelishments you see have served their purpose as plastic bottles and have now gone on to outfit your kiddos in The Wishing Elephant's sweet little ditty's. I recieved the Love Bus design you see above in pink. The detail is amazing. I love it! The onesie is %100 cotton - nice and soft. The Wishing Elephant is an Etsy shop that specializes in handmade onesies & let me tell you they are so cute! Bacon & Eggs for twins - see I told ya! Would make a perfect shower gift for a Mama expecting two! God bless any woman expecting multiplues - I so feel for her right now! 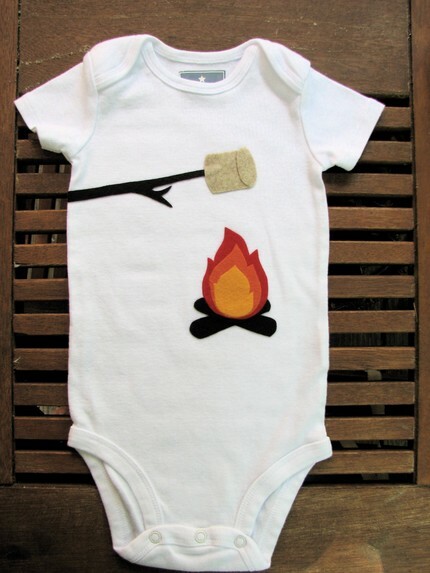 And a little Campfire Marshmellow - I love this one as we have been making an art of smores lately! 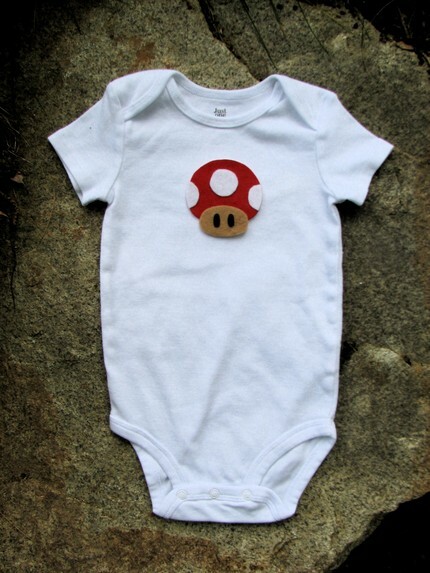 And I had to add this one since I have a little Mario fan - he thinks we should buy this one once his sister arrives! Yep it's all cute, feels good on the skin, and makes very nice use of waste product. What more could you ask for! 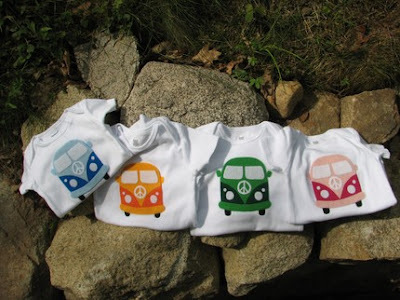 *Follow me @jamaise at Twitter & Tweet this : RT @jamaise #GIVEAWAY #WIN - a Sweet Onesie of your choice from the Wishing Elephant http://bit.ly/dms6j4 Ends 8/6 tweet each day for one entry each ! Disclaimer: The Wishing Elephant provided me with a free sample of this product to review, and I was under no obligation to review it if I so chose. Nor was I under any obligation to write a positive review or sponsor a product giveaway in return for the free product. These views are my own. I love the Power Up Baby Onesie! I like the hiding panda onesie. I love the Power UP Baby Onesie - Super Mario Brothers Mushroom!! I like the Puppy Dog Baby Pajamas and I follow you! I love the Super Mario Brothers three pack. 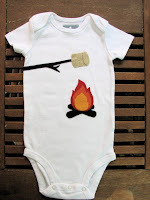 I like the campfire and marshmellow tshirt and pants. I am a friend via gfc. I like The Wishing Elephant on facebook. I left a decription of this giveaway and the link at The Wishing Elepahnt facebook page. I entered your Happy Heiny's giveaway. 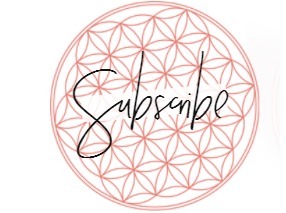 Oh and I follow you! 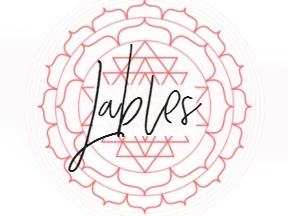 I follow your blog and my favorite is the Pink Cupcake Onesie. Thanks. I'm a friend, and my fav item is the orange lovebus bodysuit! I love the 3d Pink Eco Flower - Striped 6-9 months. Ha ha! 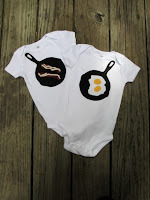 I love the The Groucho Glasses - Funny Baby Shirt onesie. i like the wishing elephant @facebook! i follow you on twitter and tweeted for this giveaway! at the bottom bar with "i want to win this stuff...."
i entered the Happy Heiny giveaway!